Just to let you know that Sue and I are delighted with the new fireplace. It looks fantastic. I was wondering if you could you give us some tips on care for the marble and granite, please. We’d like to know what’s best to use for cleaning. Could you also pass our thanks on to the gentlemen who collected the debris from the old fireplace, please. I couldn’t find a speck of rubbish left behind. 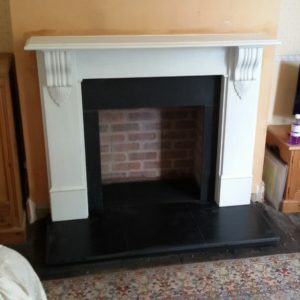 We wanted to thank you for all your help and advice regarding our fireplace. The process was smooth and well organised from start to finish and everyone we came into contact with, from both of you in the showroom, to Ian Gay and the Installers, were knowledgeable, helpful and very professional. We are absolutely delighted with the results. We will certainly recommend you to friends and family in the future. Many thanks to you, Paul, and your team for an absolutely excellent job. We are delighted with the result and will be sure to promote you whenever and wherever the opportunity comes our way. Thanks so much for installation, fire looks great! Thanks for the installation, the fireplace looks really great. Thanks for the lovely Fire. It looks great. Yep all good today – it looks like it’s been there forever! Fire looks great and the installation team were very professional. 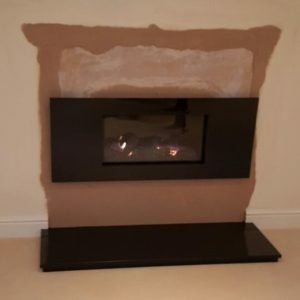 Our experience with Esher Fireplaces has been a positive one. Despite some obstacles along the way, the team were great at finding solutions & were in contact regularly with updates. We are very pleased with the end result & look forward to enjoying our gas burning stove this winter. 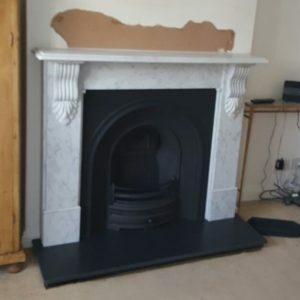 I would highly recommend Esher fireplaces. Thank you for sending the pic over. We had a look this morning and are really pleased with the fireplace! It looks really good. We’ve just transferred the remaining amount to you. Could you let me know that you’ve received it. Just a note to say how delighted we are with the fireplace. Installed so quickly and without mess or fuss on Friday morning. It’s great. Would be pleased to provide a reference/testimonial for Esher Fireplaces. The installers were so good, nothing too much trouble and really pleasant guys. As was the chimney sweep. All in all – a good experience for us. Kind regards to you and your colleague (sorry can’t remember his name) and thanks again for your attention to detail and wonderful service. 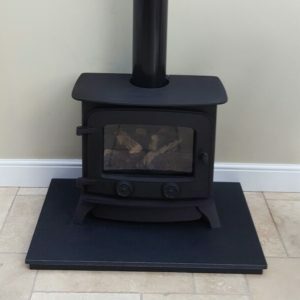 Stove looks great – another successful installation – our third to date. Very neat job too – no mess. 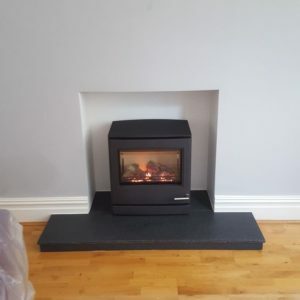 The fireplace looks amazing….and the client is extremely happy. Well done, Paul! Please thank the guys for me, it really is a wonderful result! I would like to congratulate you and your team for an excellent job. The guys on Friday were friendly, efficient, speedy and very tidy. All of which was much appreciated. 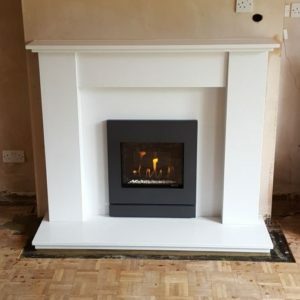 I found the whole procedure from survey to fitting efficient, professional, courteous friendly and reliable and would not hesitate in recommending Esher Fireplaces who gave me a 5 star service. Callum at Esher Fireplaces was just so patient with me and all my questions! The customer service is outstanding and I would not hesitate in recommending them. Great product knowledge and just so friendly! 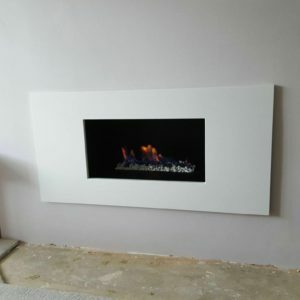 I can not recommend Esher Fireplaces high enough. The service I received was outstanding. 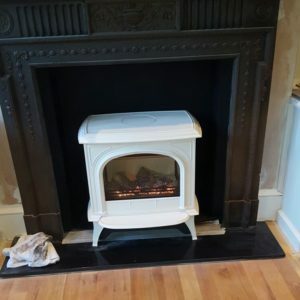 My stove took longer to arrive than expected, this due to a sourcing issue with the manufacturer and not Esher Fireplaces; throughout they were in communication and even offered temporary solutions to assist whilst awaiting delivery. The personal delivery once in stock was a delight and they ensured everything was working properly and explained clearly about after service and procedures should I require. I am truly happy with my stove/burner and personal service. Great service , no hard sell, felt no pressure to buy. Micheal the fitter was amazing - he couldn’t have been more helpful - and worked cleanly and efficiently. Chimney sweep recommended was just as good. Only issue was that despite a site visit before fitters came, the fire recommended to me wouldn’t fit in my chimney. However Michael identified this super quick and fed back to the shop who immediately sourced me another alternative and fitted on day originally planned. I LOVE my new fire!! 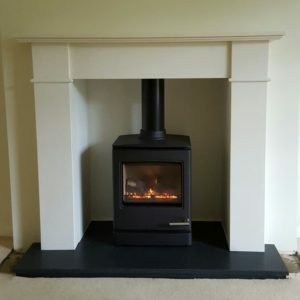 The staff at Esher Fireplaces are very helpful, polite and pleasant. They have dealt well with the gas fire supplier. The gas fire fitters they sent to us were great. No mess at all and the work was done very quickly. Very pleased overall. Thank you to Paul, Callum, Mark and Michael. Excellent team work. 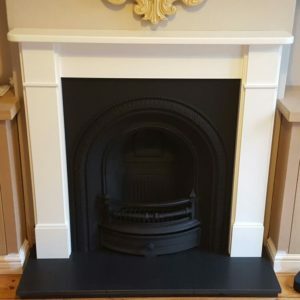 So happy we decided to use Esher Fireplaces after researching them on the web. Fantastic fireplace fitted as promised and everything went to plan. Paul and the two fitters Mark & Micheal were a pleasure to deal with. I would happy recommend you to any of my friends/family. Thanks once again. Ferdinand & Karen Rozario.